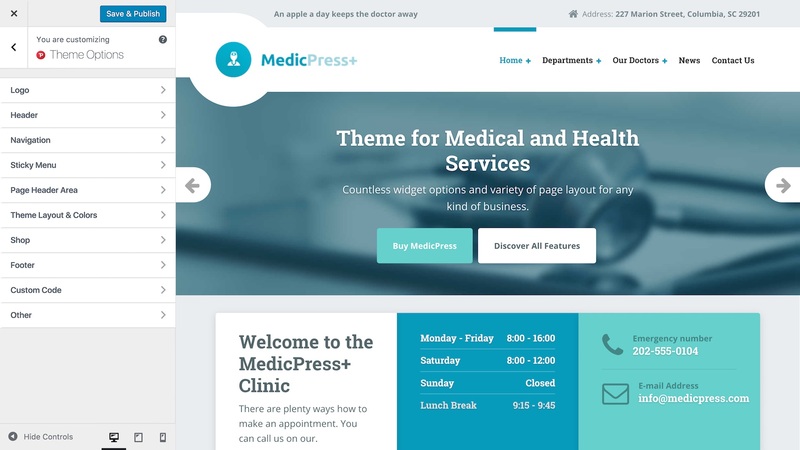 MedicPress is a niche Medical WordPress theme from ProteusThemes. 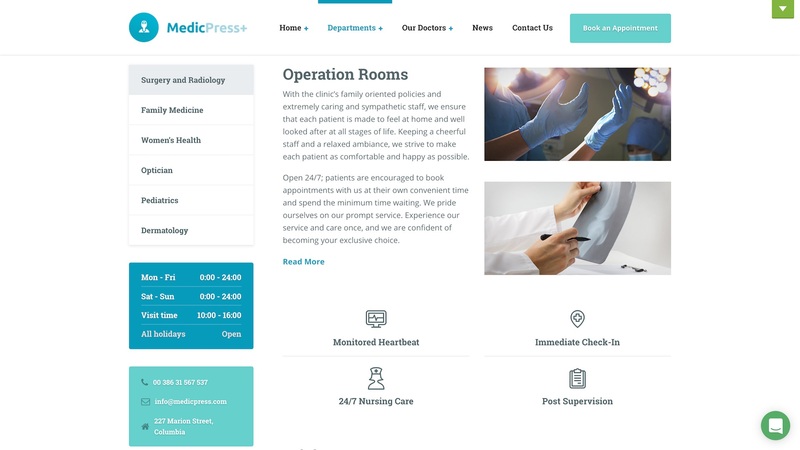 It is designed specifically for doctors, dentists, surgeons, hospitals, clinics, and other healthcare institutions looking for a professional website that builds trust with their patients. 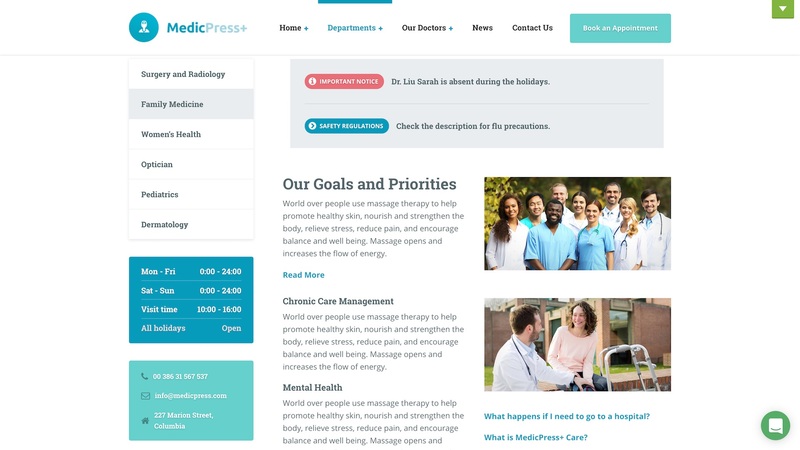 MedicPress offers both wide (above) and boxed layouts, with a mobile-focused design that adjusts to all devices for an optimum mobile experience. 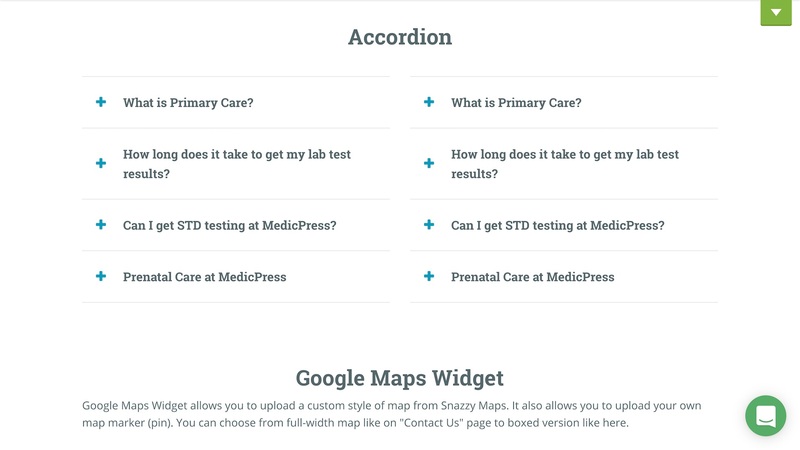 The WordPress Customizer provides a variety of MedicPress settings. 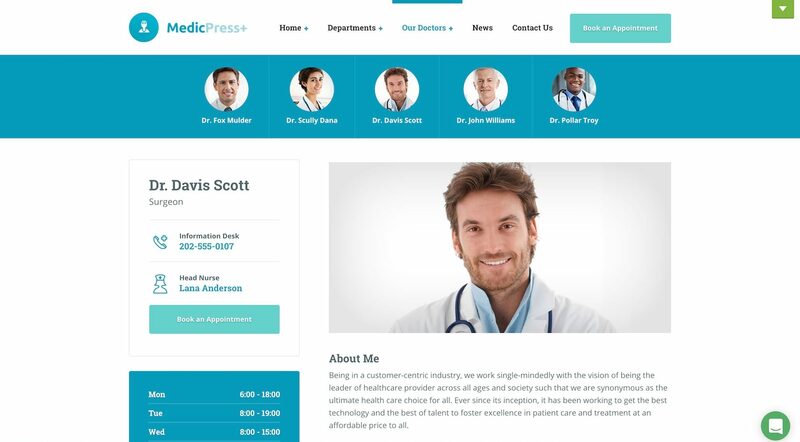 Switch theme layouts, upload a retina logo and adjust colors to suit your medical practices design look and feel. 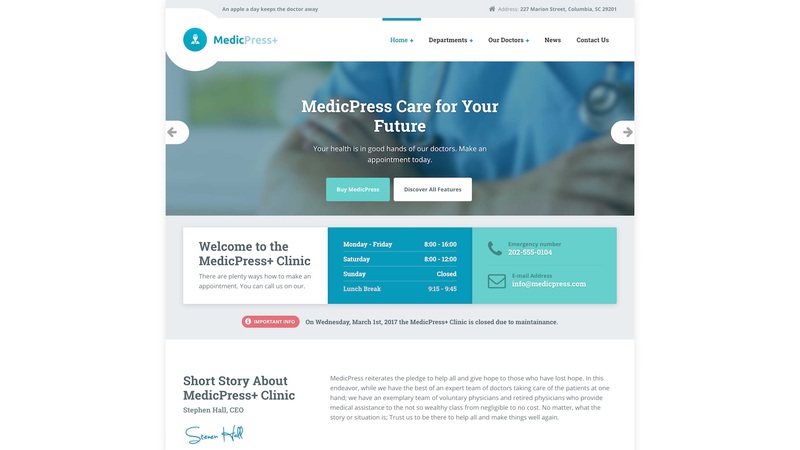 The MedicPress demo department pages, each offer a unique layout, allowing you to choose the right design for your specific medical practices needs. 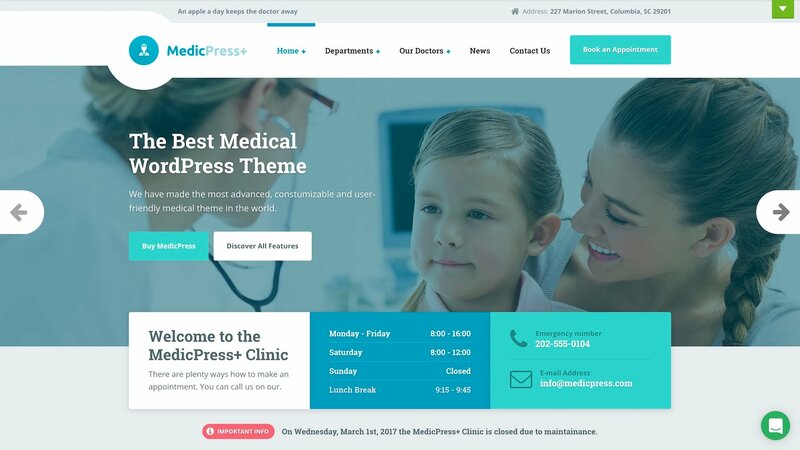 MedicPress is built around SiteOrigin Page Builder, offering a powerful drag and drop interface for maximum control over your page layouts. 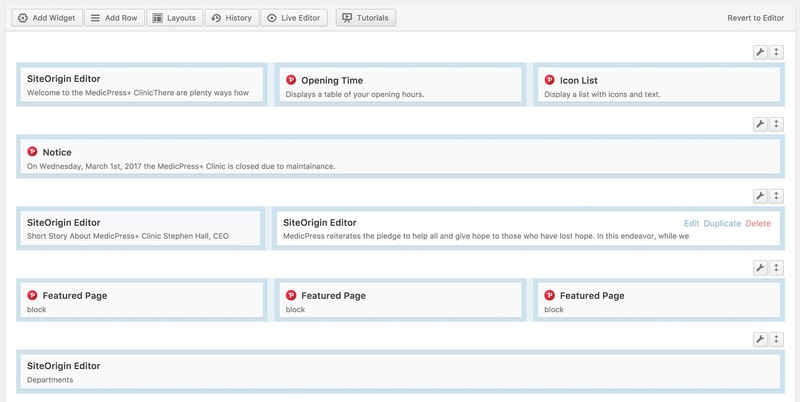 Adding rich content to your pages couldn't be simpler with 15 custom ProteusThemes widgets to choose from. 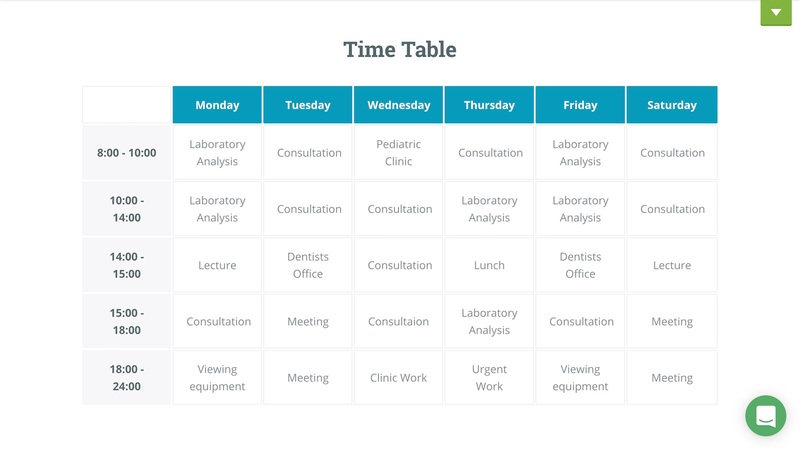 From opening times and timetables to booking forms and accordions perfect for questions and answers. 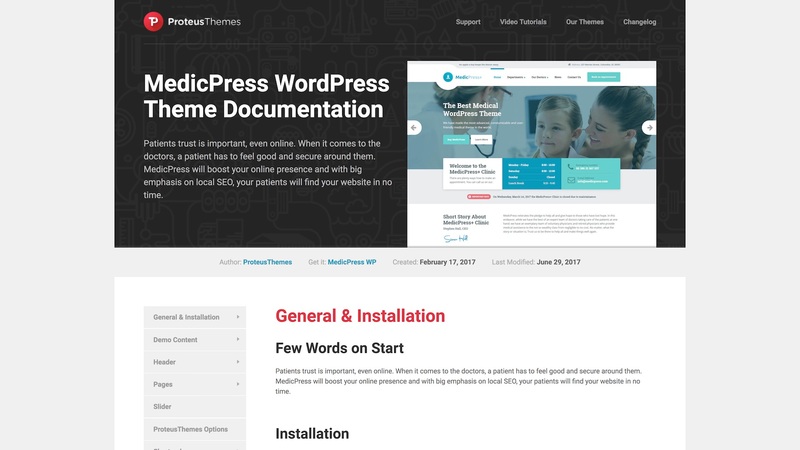 MedicPress is supported by comprehensive documentation covering all aspects of the theme configuration and guiding you through the installation and demo import process. 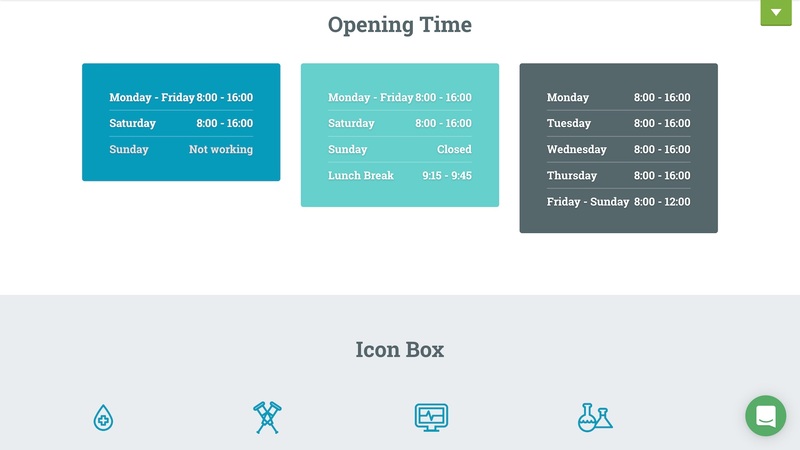 ProteusThemes offers three pricing models to choose from. 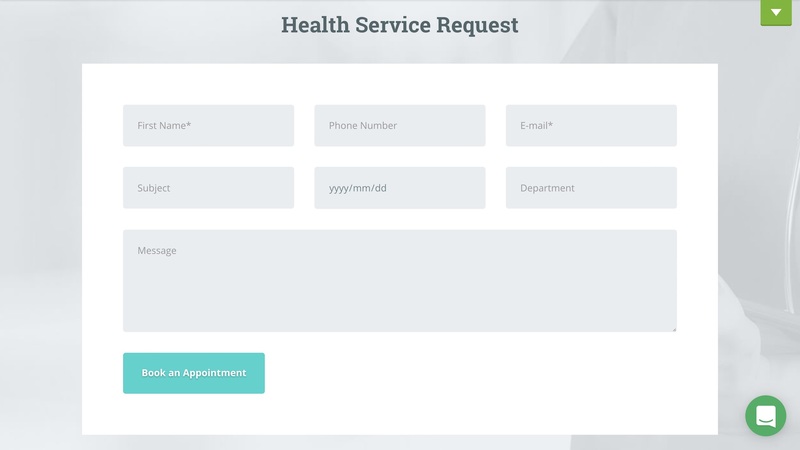 Personal, which includes one premium theme and six months of premium support, for a once off payment of $79. Agency, a yearly subscription model with access to all premium themes and unlimited premium support for $149/year. 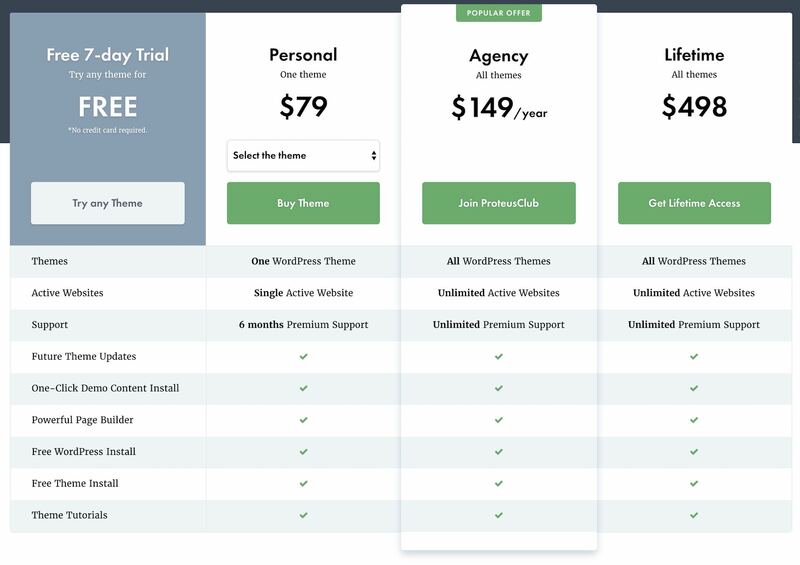 Lifetime, offering customers lifetime access to all premium themes and unlimited premium support for a once off payment of $498. ProteusThemes also offers customer a free 7 day trial. 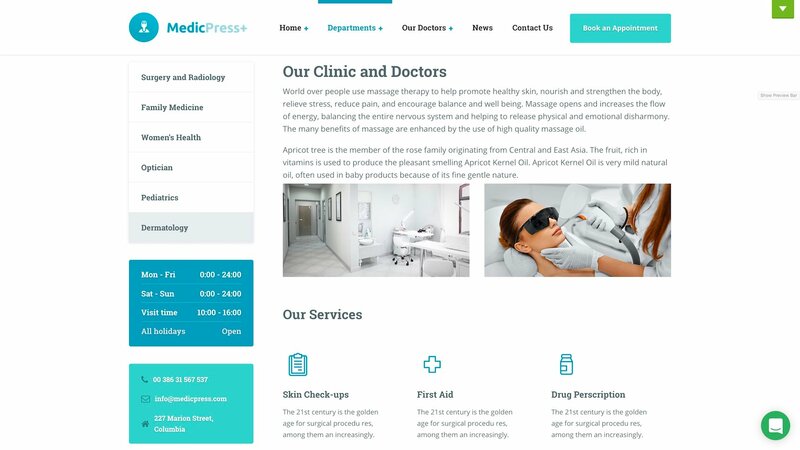 And thats MedicPress. 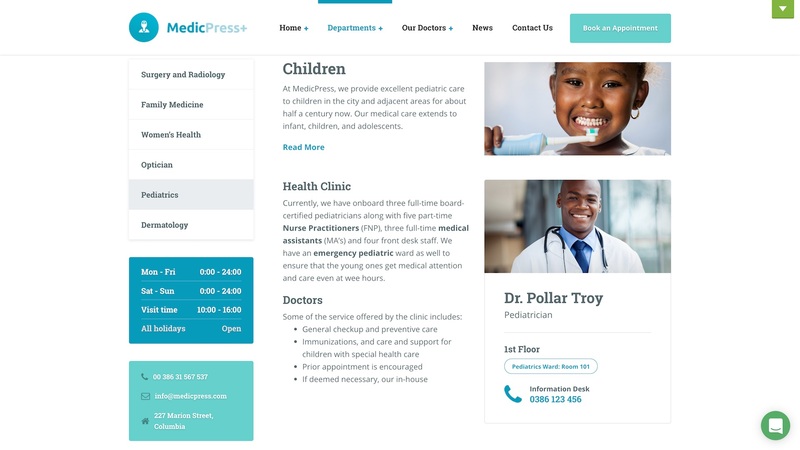 The ideal WordPress Theme for doctors, physiotherapists, dentists, surgeons, hospitals, clinics, and other healthcare institutions looking for a professional website. Your download will start shortly. Sign up to our newsletter to hear about future free themes.